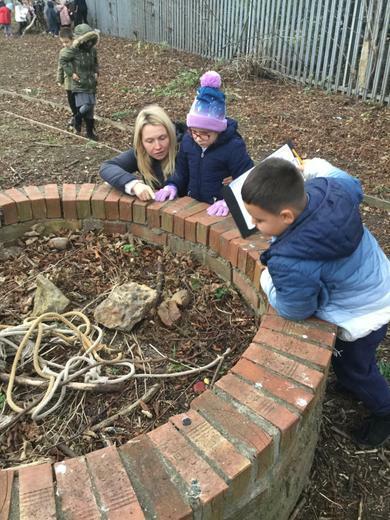 Despite the cold weather, Year 2 found lots of amazing creatures hiding in our nature area. 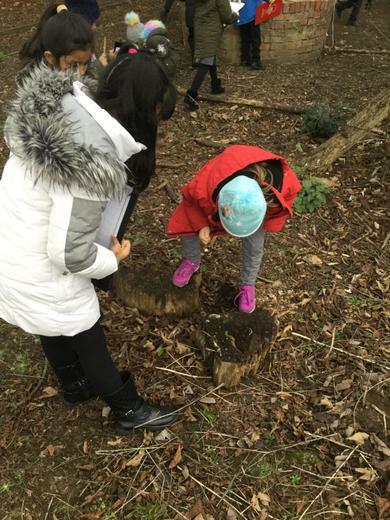 We lifted logs and stones to find beetles, centipedes, spiders and other minibeasts. Everyone kept a tally of what they found and then produced a bar chart of their findings. 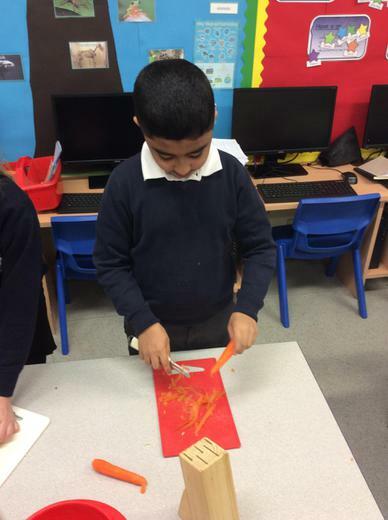 Year 3 used symmetry to create their own Roman mosaics. 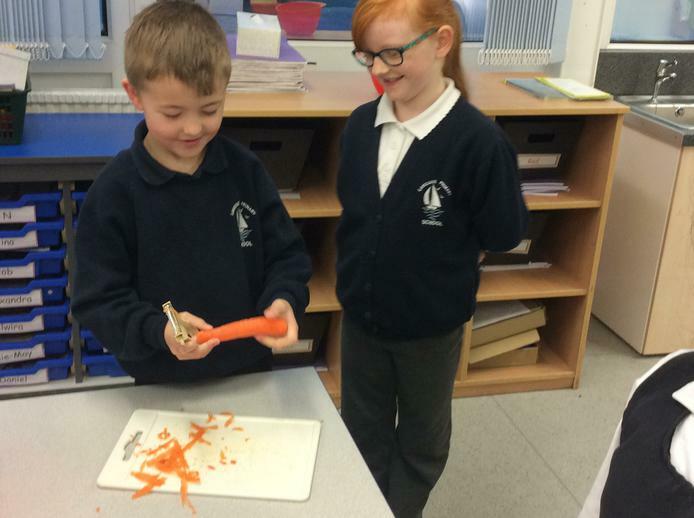 We went on a shape hunt around school to find 3d shapes. In our talk partners we tallied how many of each shape we found. When we came back to the classroom we talked about what shapes we found and where. 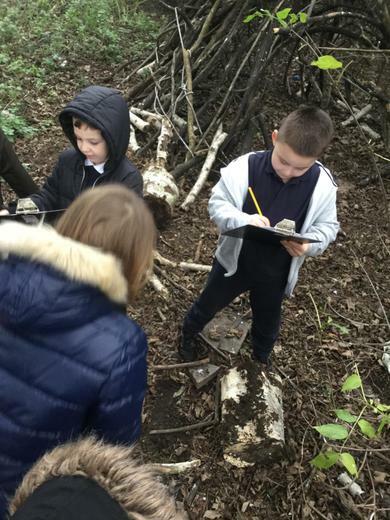 We really enjoyed our outdoor learning. 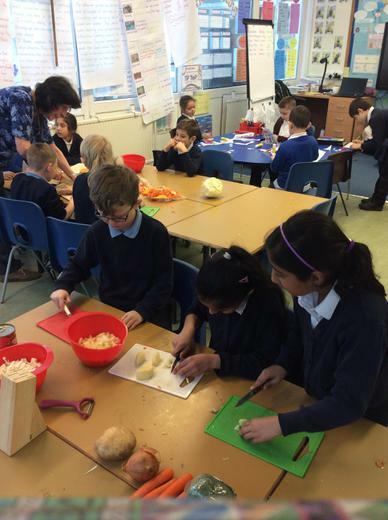 Year 5 created their ideal holidays to Egypt whilst sticking to a budget. They had to make lots of different decisions such as what type of clothing they would take; how many stars the hotel had and the type of flights they would book. 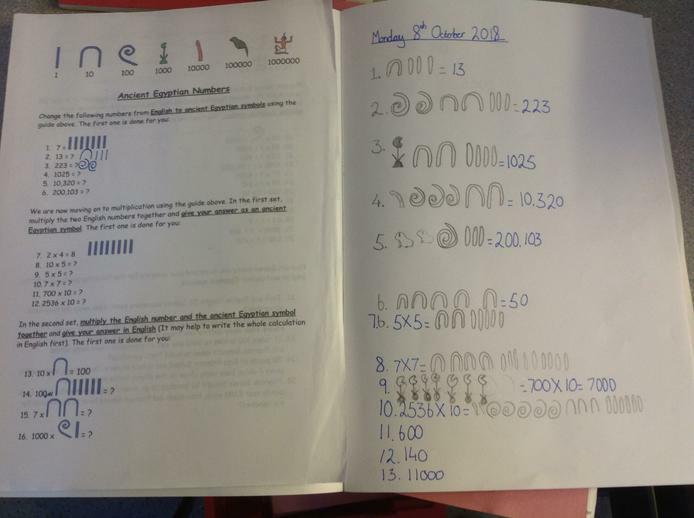 Year 6 have been studying the Egyptian number system, using Hieroglyphics to understand and solve number problems! On Monday we were left a surprise in our classroom. 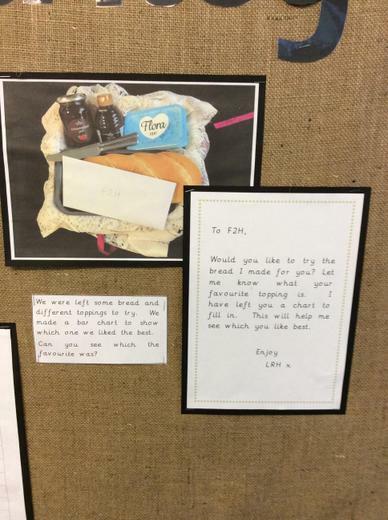 When we returned to our class we found a basket filled with a loaf of bread, jam, honey and butter! 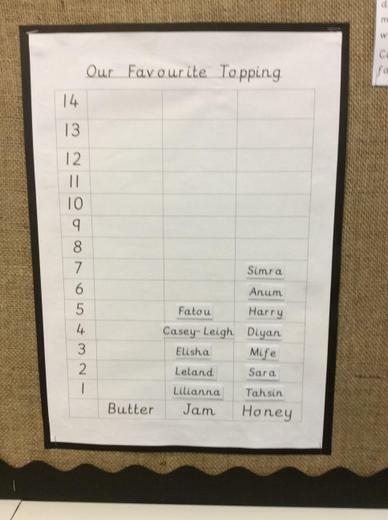 There was also a letter asking us to taste all the toppings and show which was our favourite. We made a bar chart with our names in to show which we liked best. 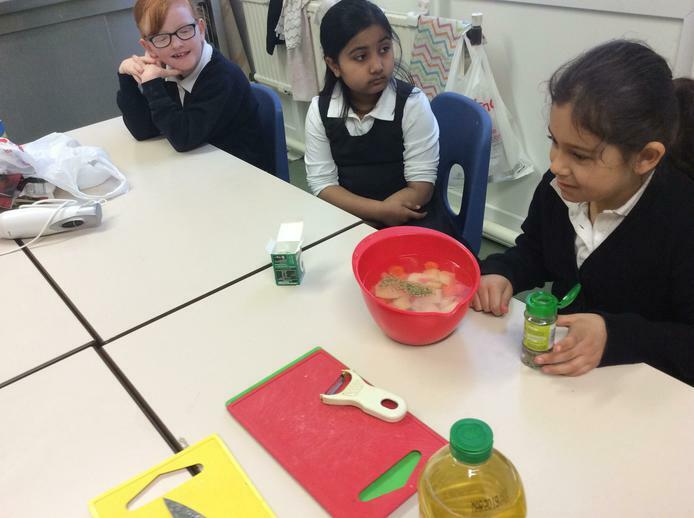 We later found out that the bread was left by The Little Red Hen! 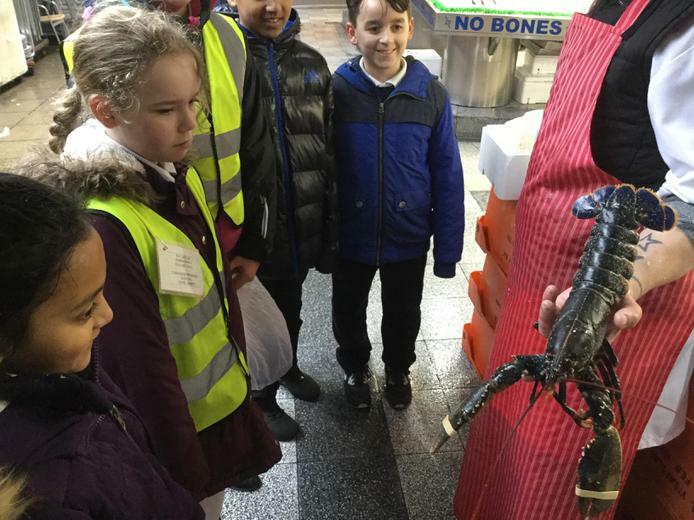 We are now learning the story. 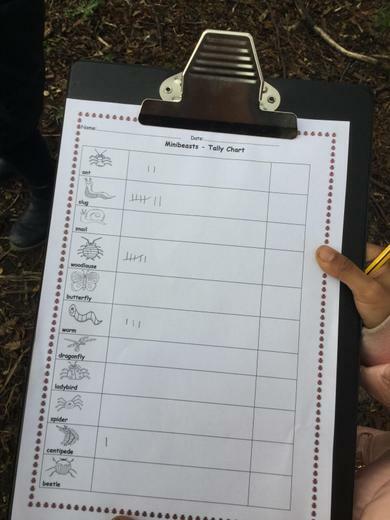 Look at all the maths we have been doing in the outdoors! 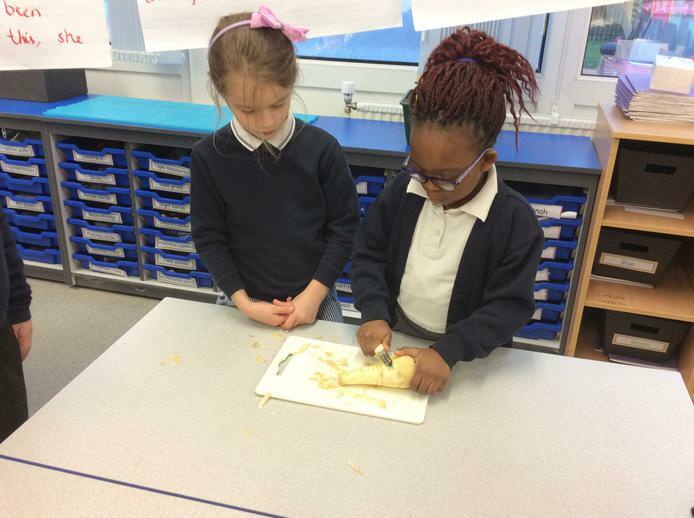 Year 2 are making fruit salads in DT. First of all they had to find out which fruits were the most and least popular. Everyone made a pictogram with their results then analysed the data and answered questions. As part of our topic lessons we created a timeline to place Stone Age, Bronze Age and Iron Age alongside other periods in history. In science we looked at different items that used electricity. We then sorted these into a Venn diagram. 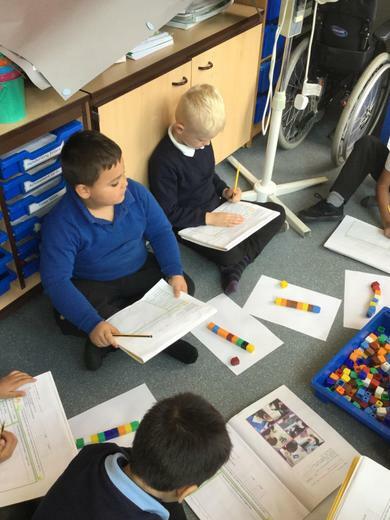 Maths is all around us during our continuous provision time in the Foundation Stage.Have a look at how we have been exploring different maths ideas during our independent learning time. 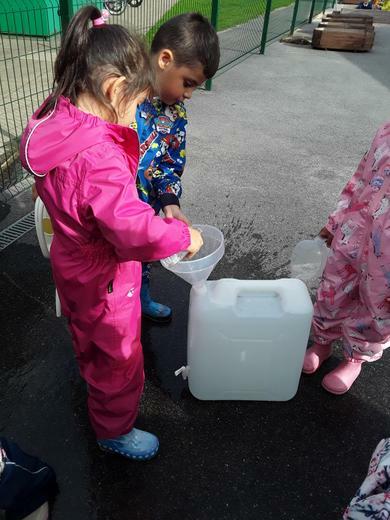 Water play gives us opportunities for exploring capacity, we have lots of different size containers which we can empty and fill, we are learning to make comparison and find different ways of transporting water. Here is Father Stoko joining in with our game. 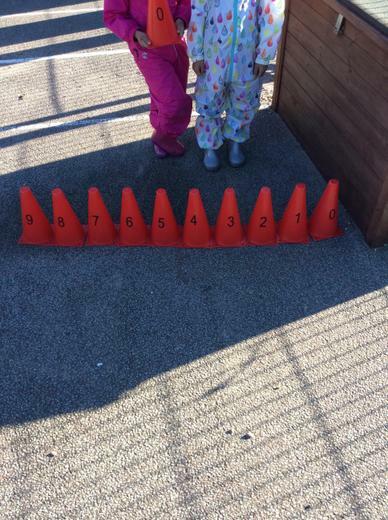 We threw the bean bags and had to find out our score. We tried hard to improve each time. Safa made a repeating pattern using some natural objects. 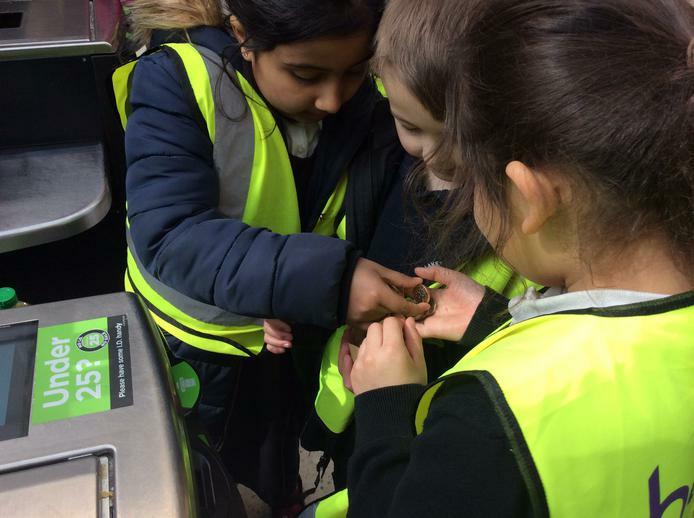 In year 1, as part of our 'All About Me' topic, we explored the life-cycle of a human. 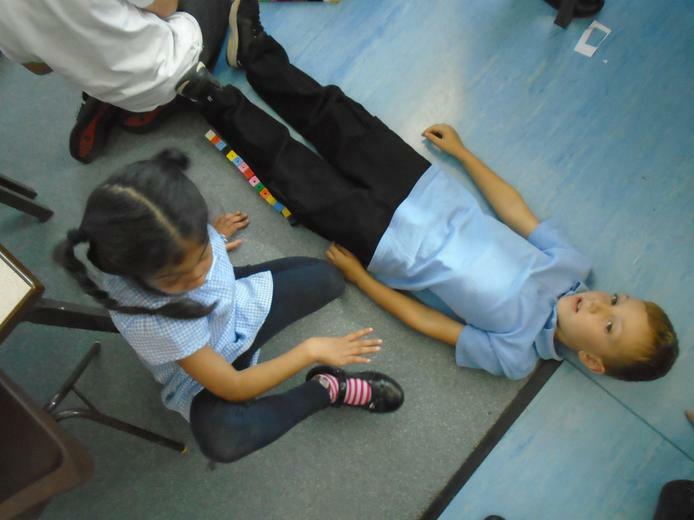 We then compared the length of our bodies using large cubes. We recorded and discussed what we found. 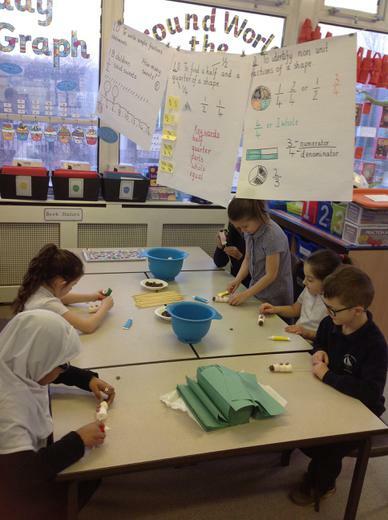 We loved using Maths within our Science! 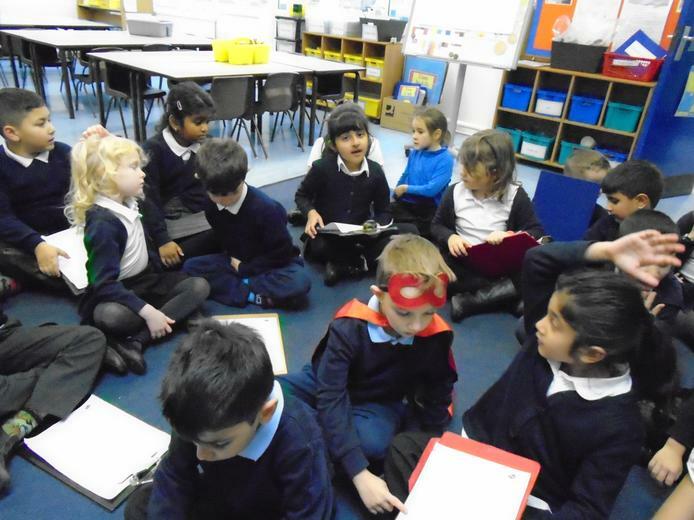 As part of our Ourselves topic, the children in Year 2 had to find out how people changed as they got older. 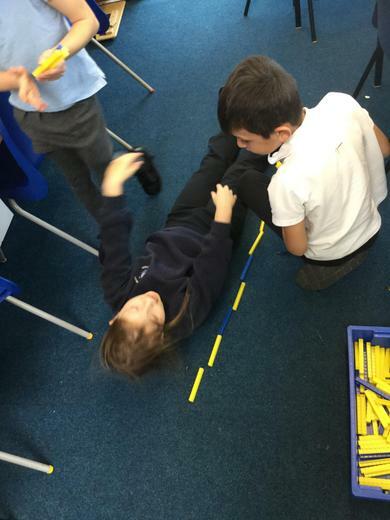 They measured people using either standard or non standard units. 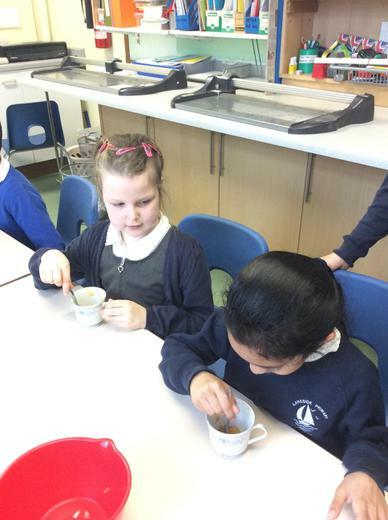 Mrs Bossons would be pleased to hear that they remembered how to measure accurately really well! 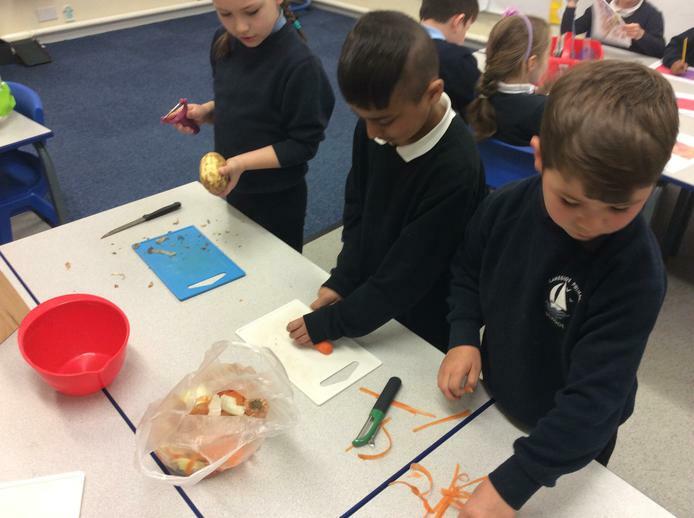 Our T4W text is a Squash and a Squeeze by Julia Donaldson. 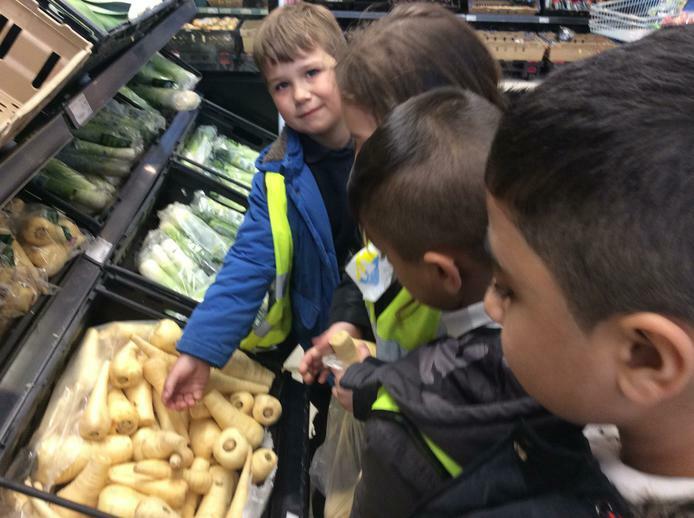 We experienced what a squash and a squeeze is. 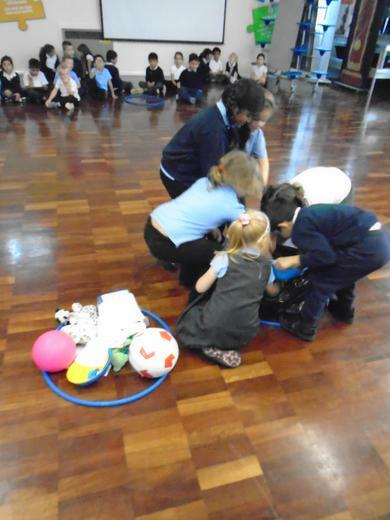 In groups we had to put as many things in a hoop as we could in 10 seconds. 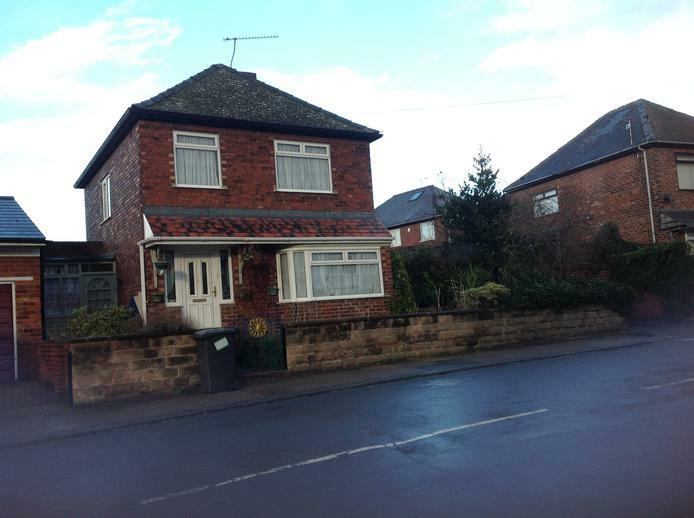 Then we could see what a squeeze the Old Ladies house felt like. We wrote down the numbers of how many items we could fit in the hoop. We went back to class and then wrote down different adjectives to describe something small. 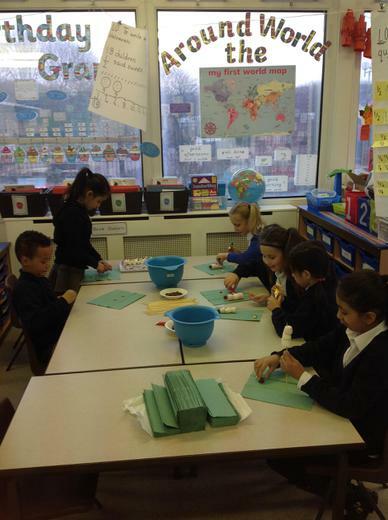 Class 1 have been learning about Ourselves. 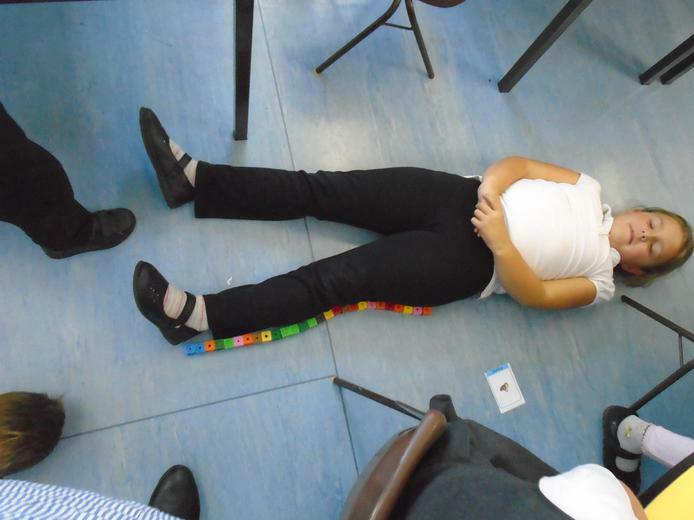 We had great fun measuring each other with cubes and seeing how many cubes each part of our body was. Class 5 have enjoyed estimating, measuring and comparing distances out on the school field. We practised our throwing skills for Sports Day! Class 12 have enjoyed a relaxing Friday afternoon completing some animal symmetry. I think you'll agree, they've done a fabulous job ! 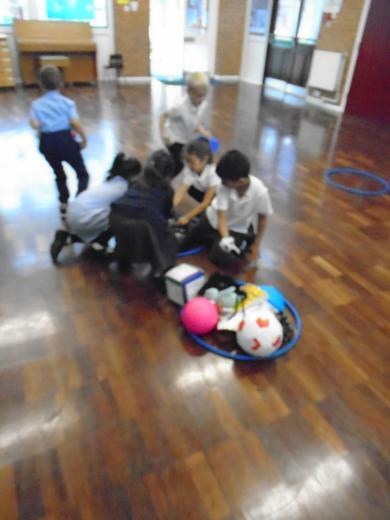 As part of our 'Living Things and their Habitats' topic Year 3 designed a perfect habitat for a hedgehog. We used our knowledge of perimeter to help us! 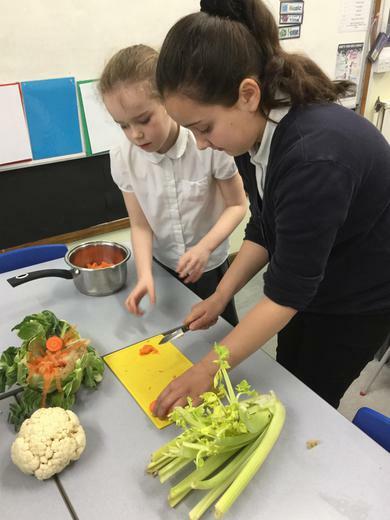 Summer is in Class 11, in Year 5 , and has been taking part in playground leader training, along with other member of Year 4 and 5. 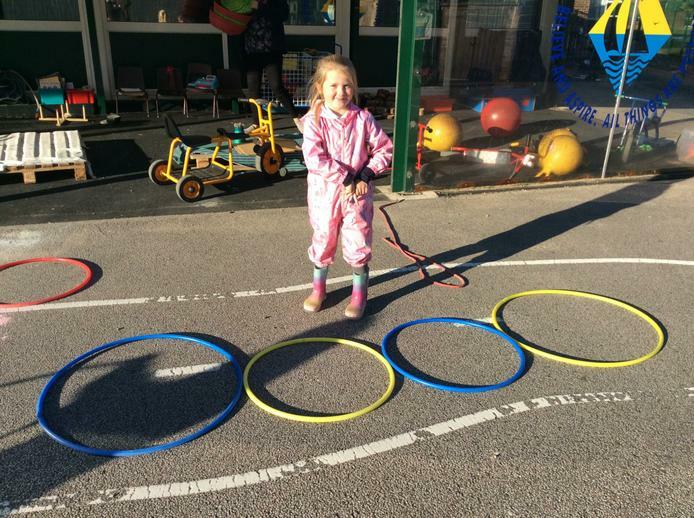 Before long, she designed a system to help herself and fellow playground leaders to find out what children wanted to play with, in advance, and organise the equipment efficiently. 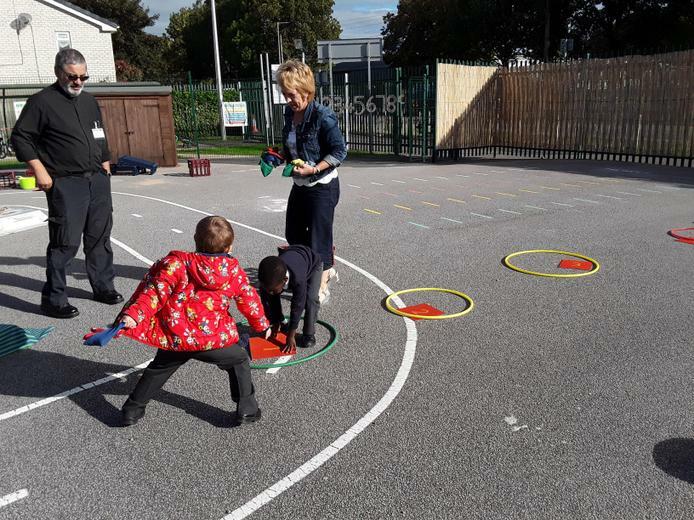 She has made the organisation of playground equipment her personal mission and has found this this system helpful. Well done, Summer! Summer created these handmade tables. She recreated them on the computer. Then, we printed enough for all groups. She explained her system to the others. 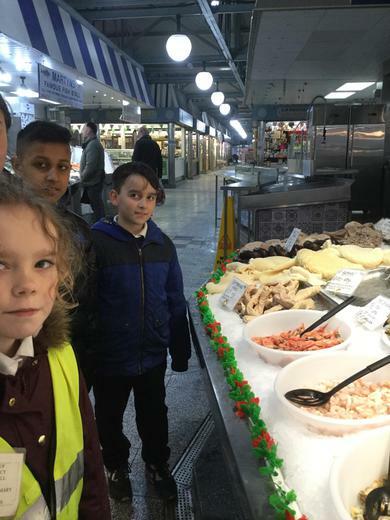 As part of this term's topic, we have been researching into our local area and chose to focus on the Lakeside Village shopping centre. During a visit, we collected responses from members of the public and we have analysed some of the results below, from our questionnaires. We used our results to draw bar charts and consolidate these skills. 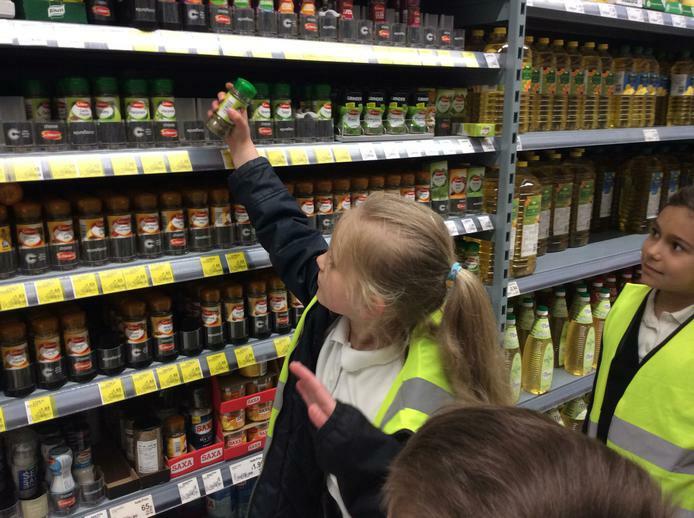 We also collected data about customers from the management team and used these to draw a line graph. 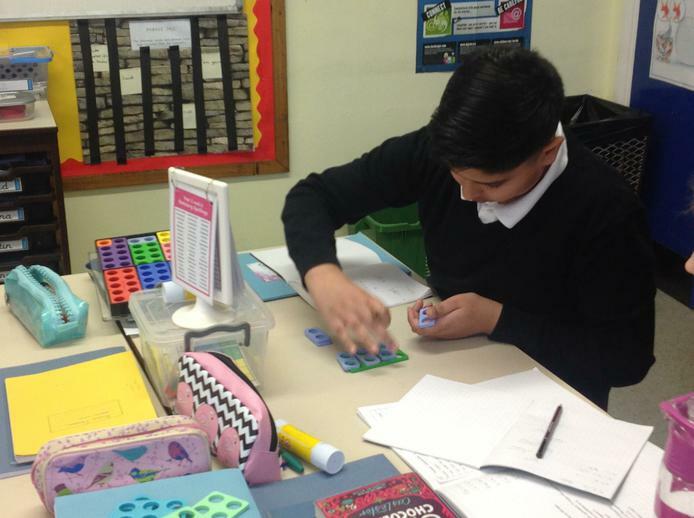 In maths, we have been exploring pictorial representations of fractions and decimals (and we will soon be moving on to percentages too) and we used these skills to explore pie charts. 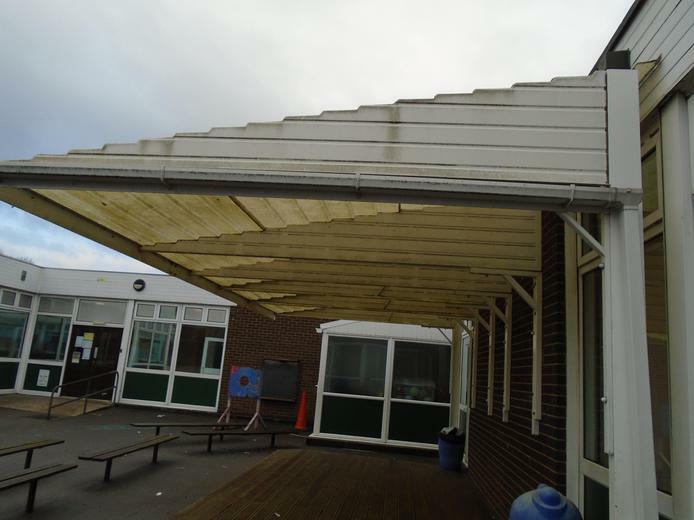 The work below is by Laiba and Faiza, who always take pride in their work - well done girls! 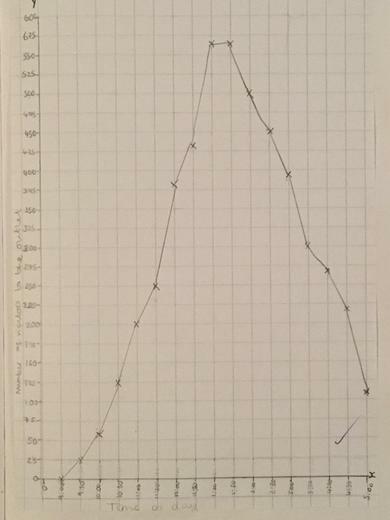 We collected data and analysed this by drawing a a line graph. This helped us to compare results collected by different members of the class and identify anomalies. The work below is by Laiba, who always work hard and produces beautiful work. 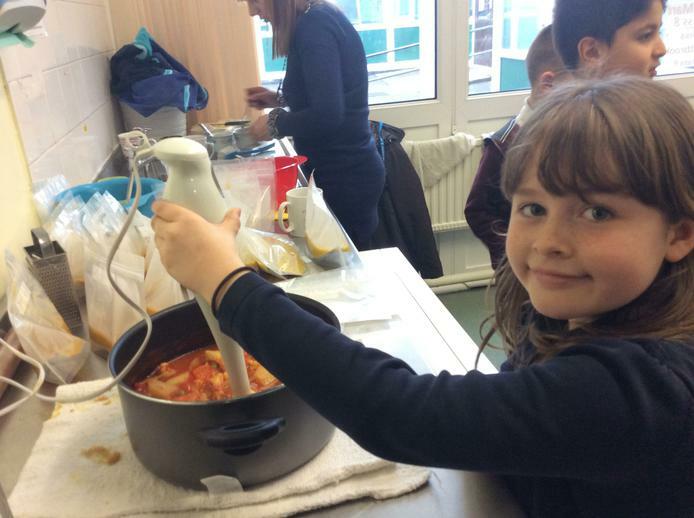 Well done Laiba! 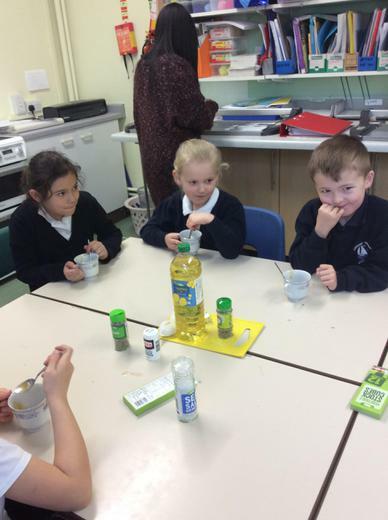 This half term Year 3 have been learning all about Solids, Liquids and Gases. 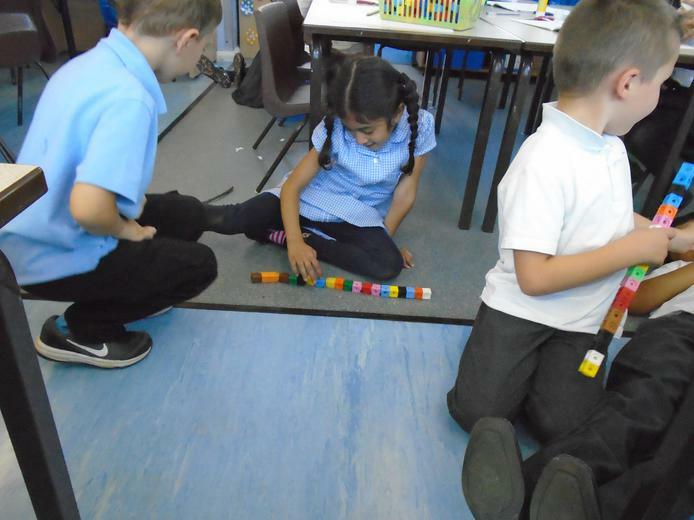 We used our maths skills to help us carry out investigations. 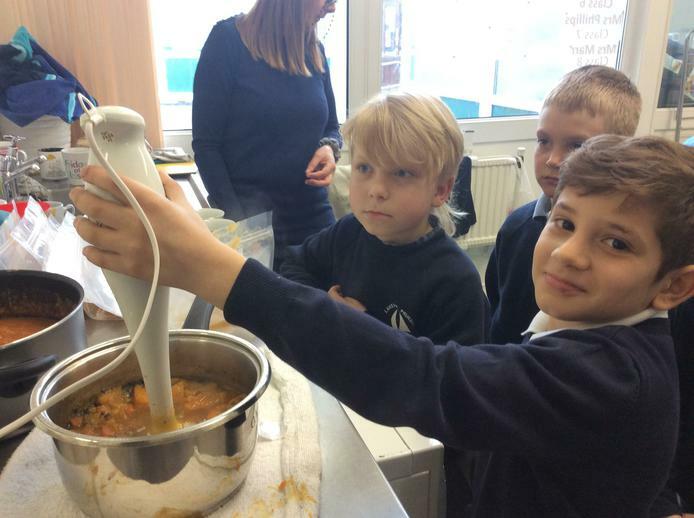 We used weighing scales to accurately weigh, thermometers to read temperatures and measuring jugs to measure amounts of liquids. 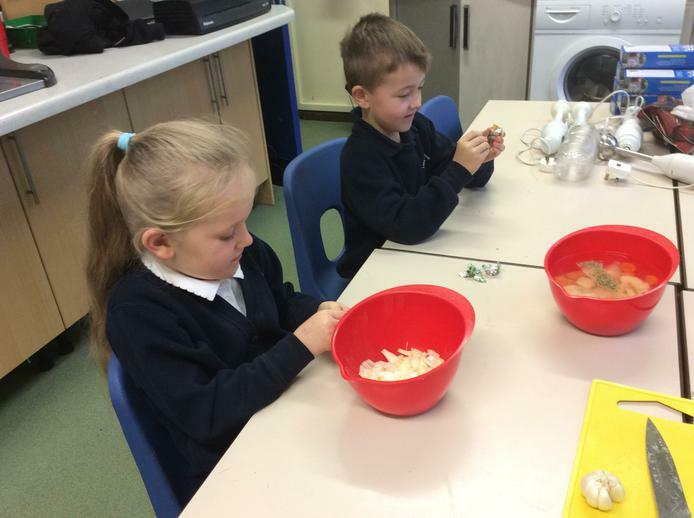 This week Year 2 were set a challenge to make a profit - they had to ask Mrs Witton to loan them some money to make some games and fun treats to sell at our money fair on Friday. 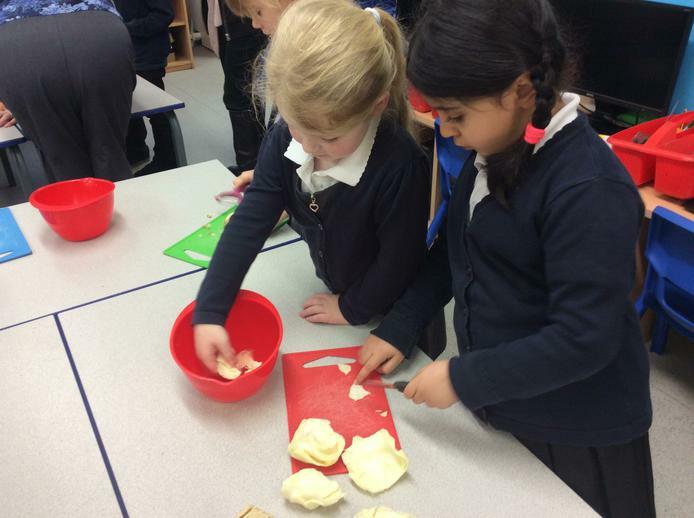 Year 2 wrote letters persuading Mrs Witton to give us the money, they took part in different Maths activities and even made some games and fun treats to eat. 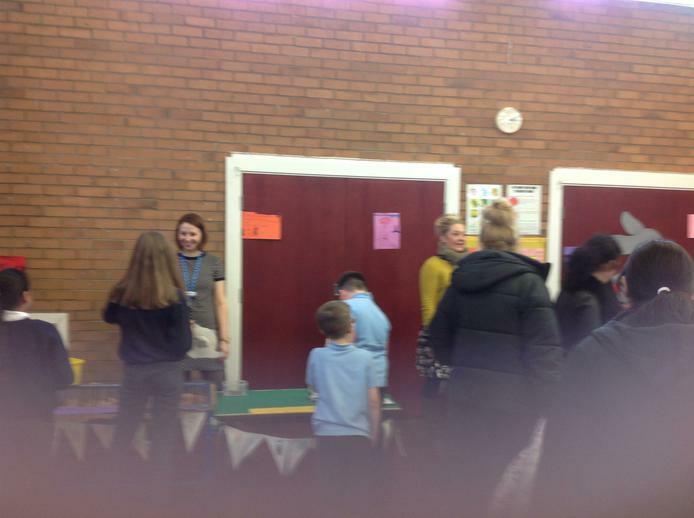 Altogether our games made around £30 profit and the children really enjoyed making money posters to be presented at the stalls. 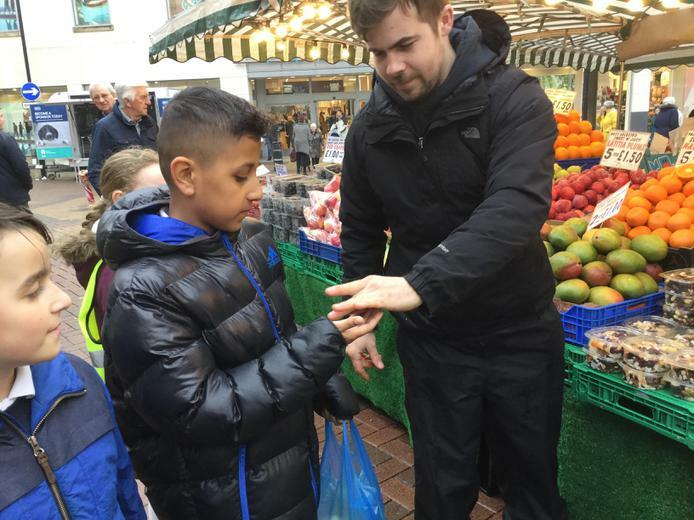 Our games were 20p a try!! 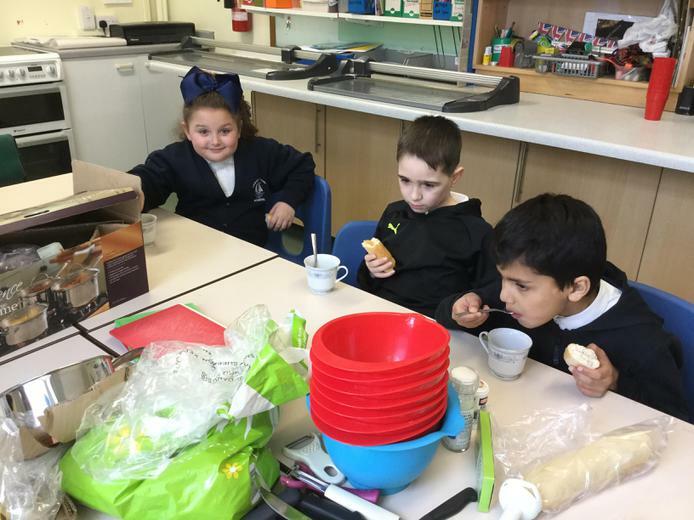 Take a look at some of our photos below, we had such good fun making and taking part in the different activities for money week. 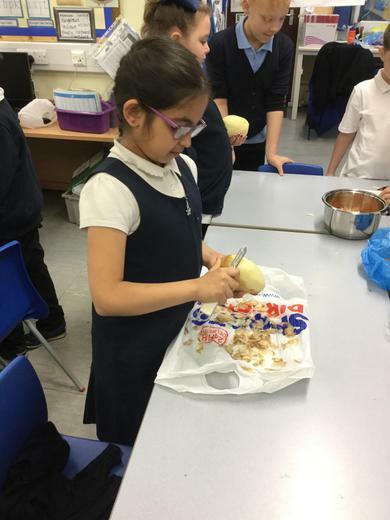 I’d lost the exact recipe for Viking bread so Year 4 had to use fractions to work out the quantities. 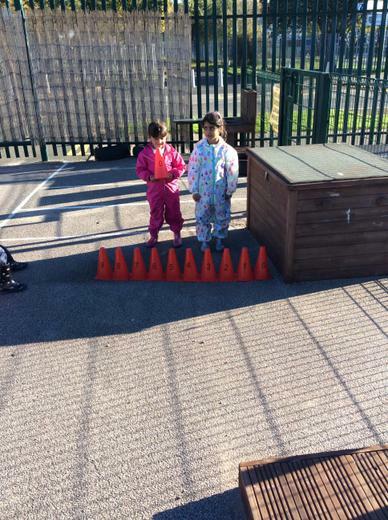 It was really tricky but they used the equipment and bar models to help them to solve the problem. In Year 1 we estimated the amount of sweets in a jar which was one of our games. Our guesses ranged from 5 to 60. The correct answer was 140. 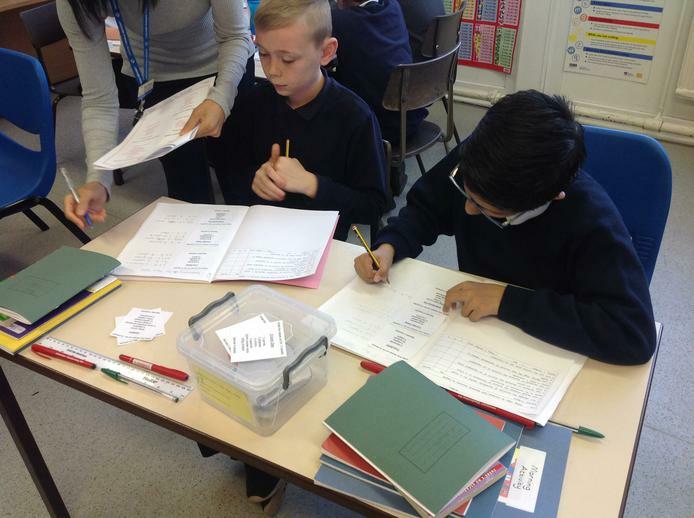 We have been using our knowledge of co-ordinates to analyse our local area. We have planned a number of routes around our school, looking at the co-ordinates our routes will take. 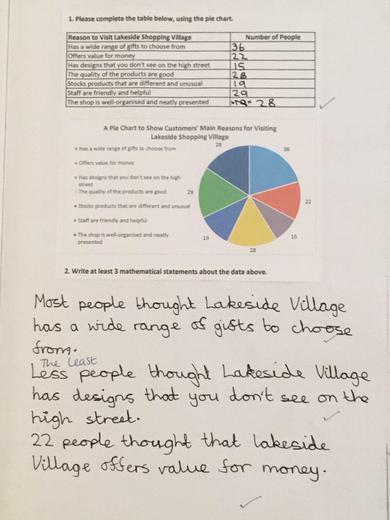 As part of our geography topic, Our Local Area, Year 5 planned a survey to research the Lakeside Village shopping outlet. We planned questions on big pieces of paper and collated them to make surveys as a class. 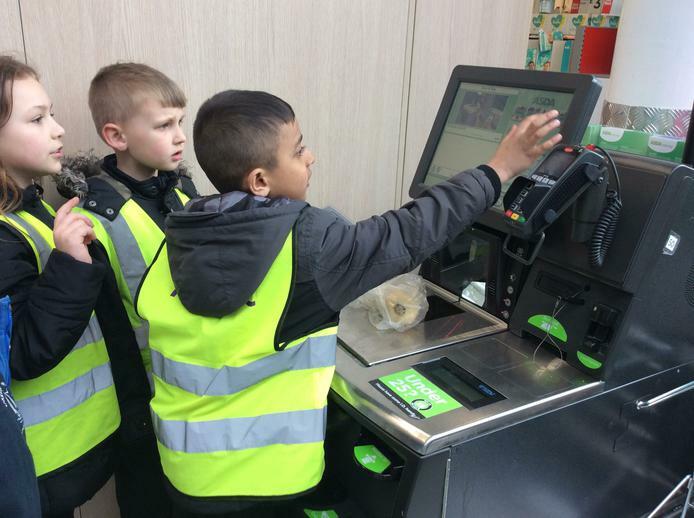 Next, we will visit the outlet and gather data from customers. We have had great fun designing our symmetrical Anglo-Saxon brooch designs. 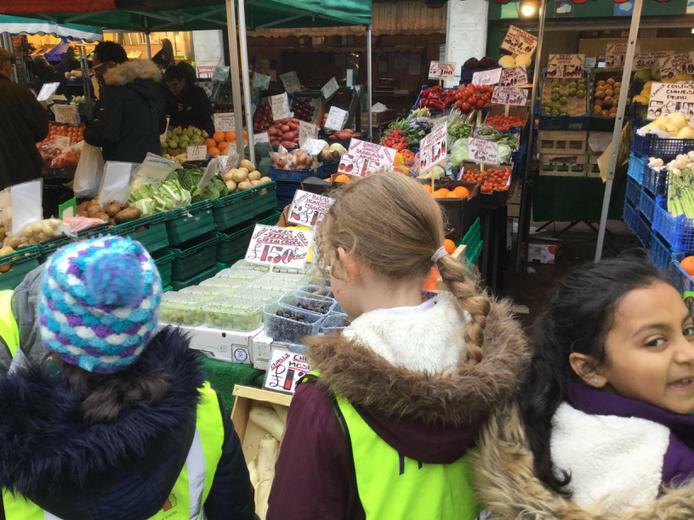 Year 3 Sound Walk - We walked around the Local area measuring different levels of sound. 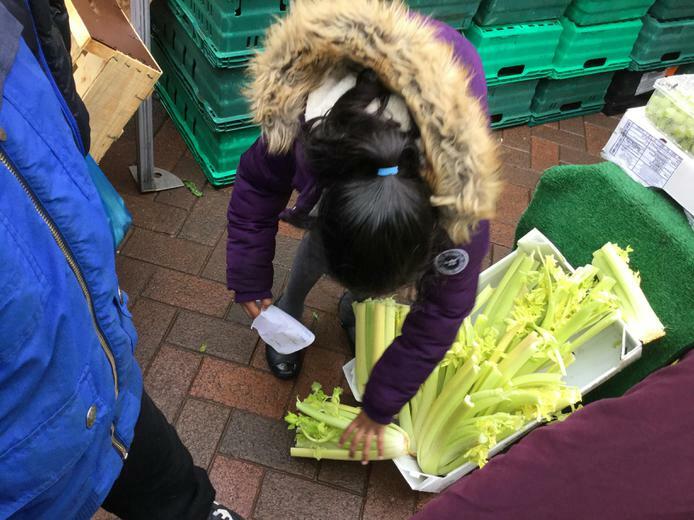 As part of our topic on the Local Area year 5 visited the Lakeside Village to carry out some customer satisfaction surveys. 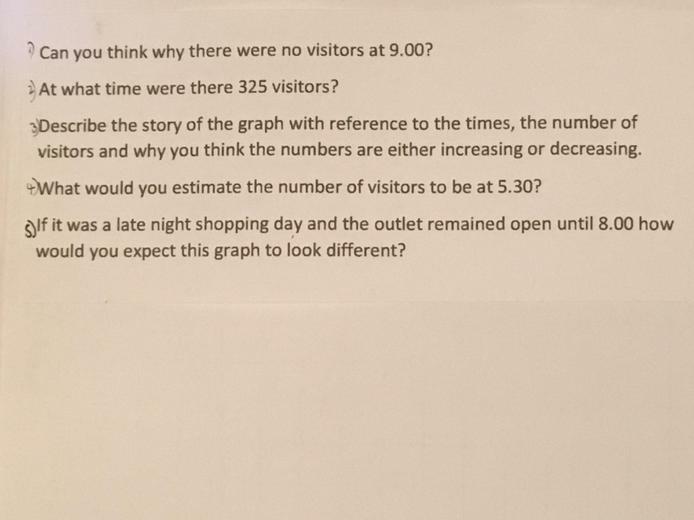 We wanted to find out why people visit the outlet and what improvements they would like to see. 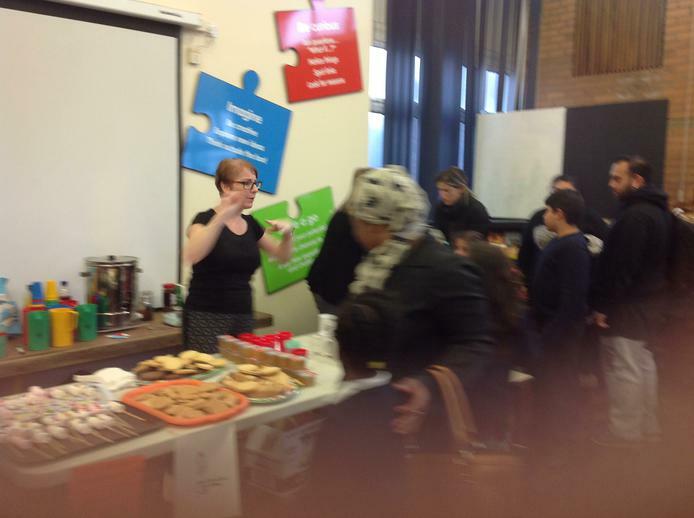 We met with the Deputy Manager, Mrs Parry, and had a question and answer session with her. We found out that the Lakeside Village has been open since 1995 (22 years!) and that their target consumer is a female in the 40+ age range. 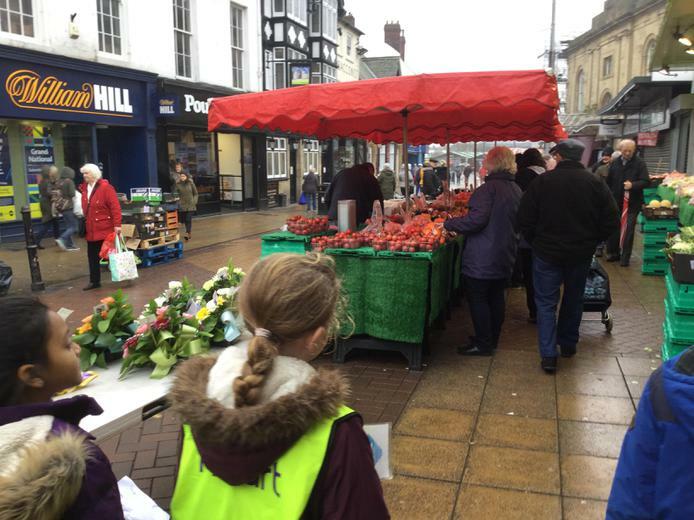 We then interviewed lots of customers and also spoke to the staff of a number of shops. 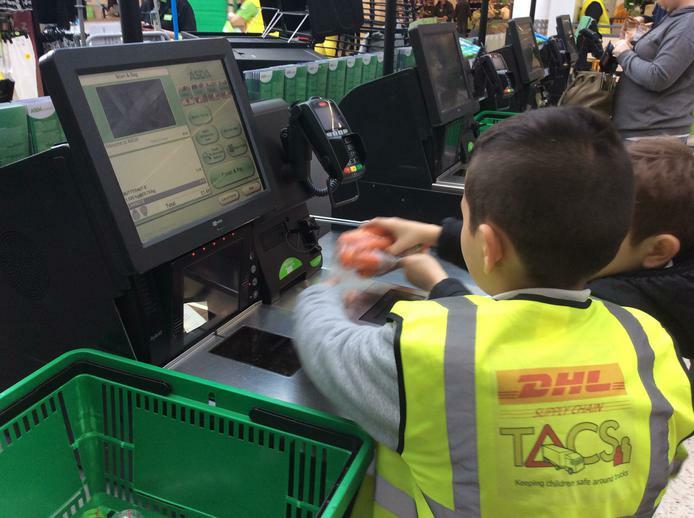 Our next step is to analyse the data and then provide some feedback to the Management team at the outlet. 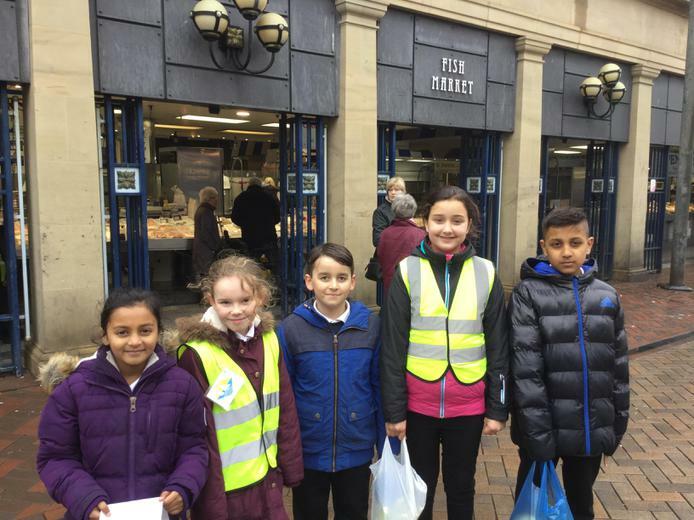 The children were a credit to the school and a number of people commented upon how polite and enthusiastic the children of Year 5 were - well done guys! 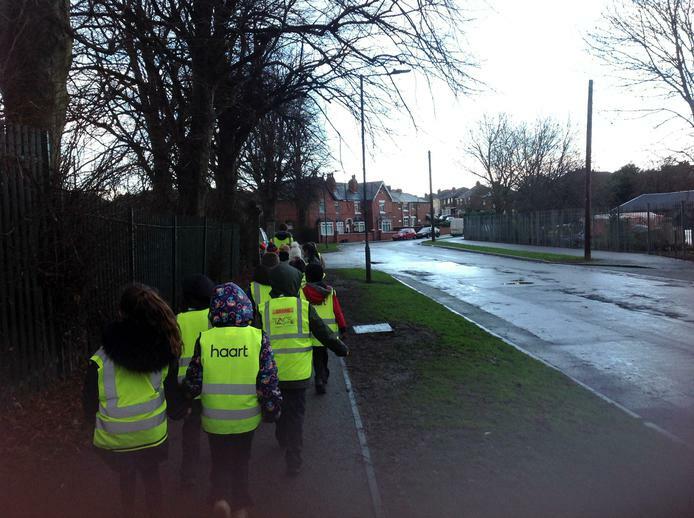 Year 2 - Home walk, around the local area! 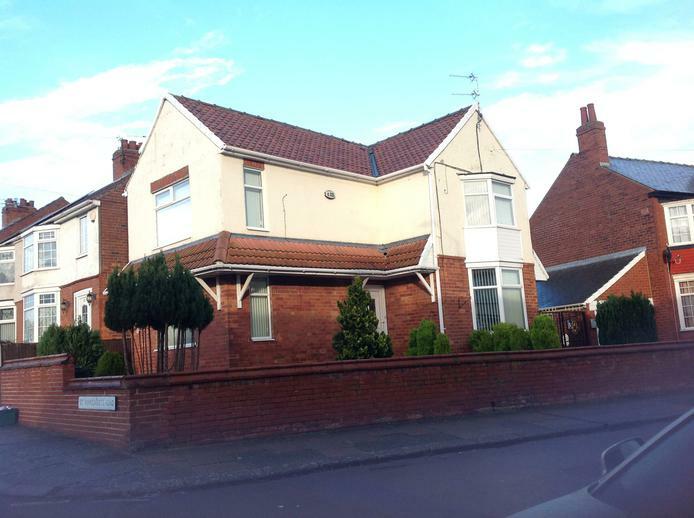 Here are some of the pictures from our homes walk in the local area. 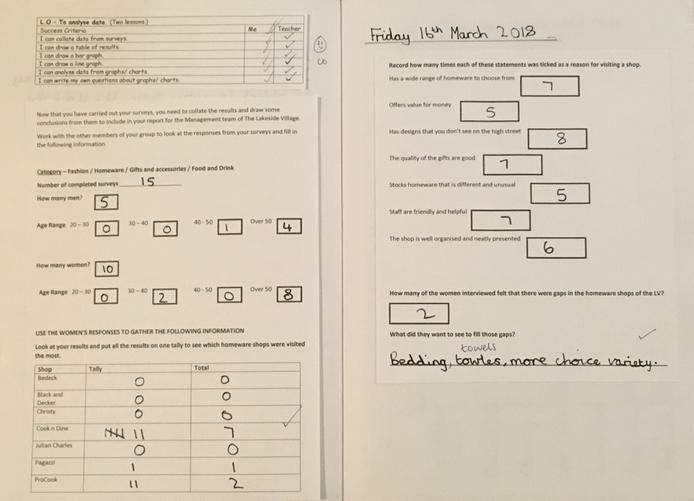 We enjoyed looking at the different shapes of the houses, looking at the different types of homes and also creating tally charts to show how many different homes we saw. Hope you like our pictures. Year 4 have used their maths skills in computing. They have been using Scratch to give directions including thinking about angles of turn. 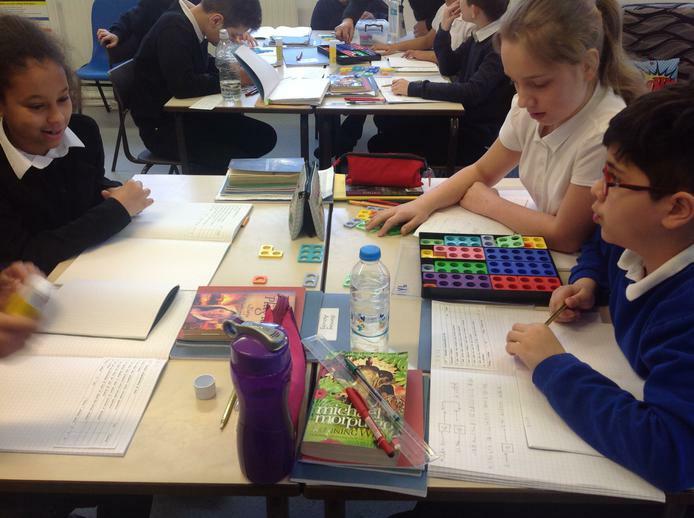 Year 5 have been using their maths skills to accurately measure and draw a colour wheel, which we then painted. 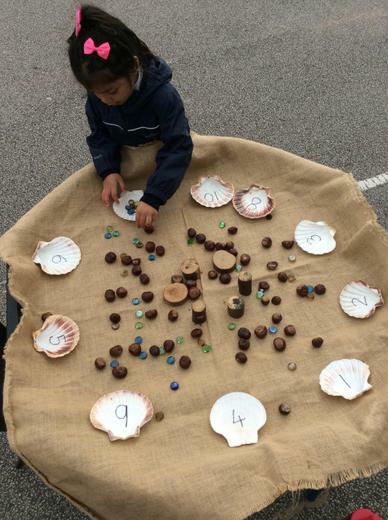 Maths in Nursery. 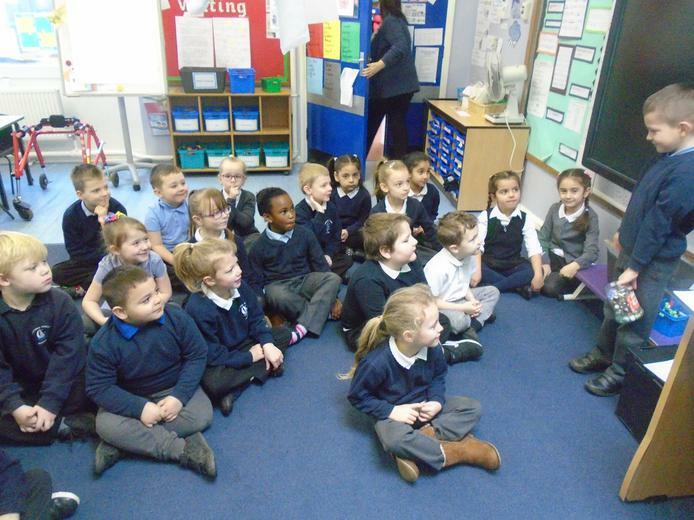 This week in Nursery we have been talking about, 'Where We live'. We have used the small world dolls house and we have counted out the people in each room, we have also found the matching numeral. 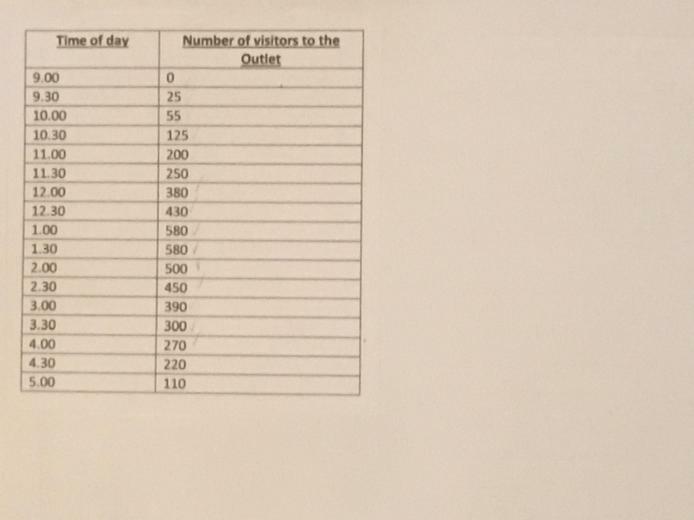 Some of us added '1 more' person to see how many people we had. 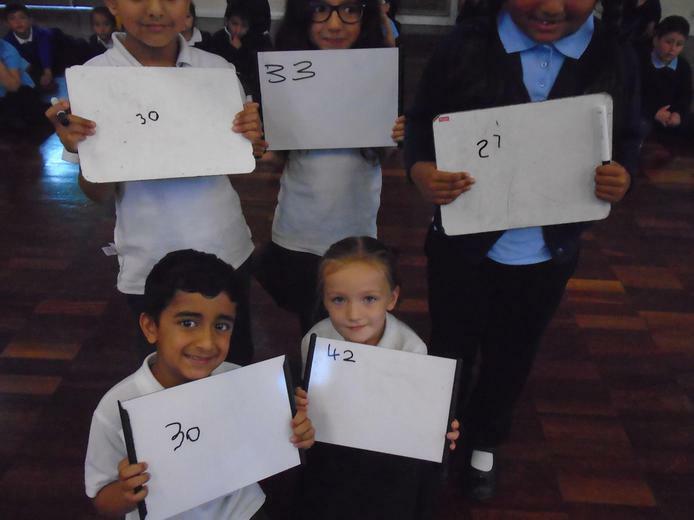 We also counted how many people we had altogether, after placing people in two of the rooms. 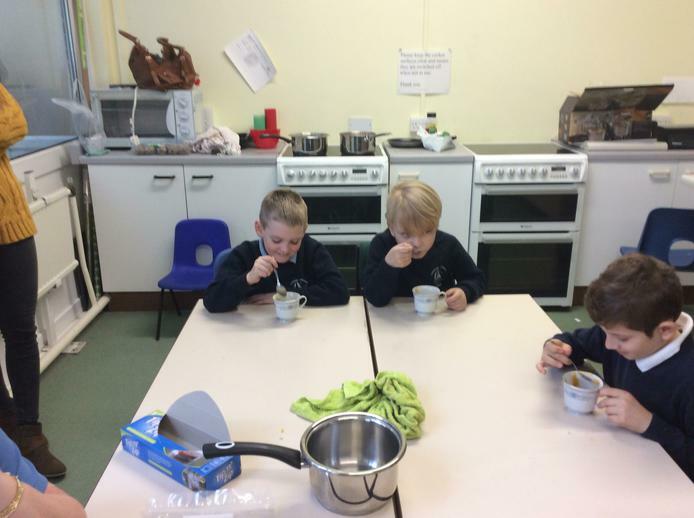 Our focus text is 'Goldilocks and the Three Bears', so we have been, scooping, measuring and talking about the different sized bowls in the home corner. 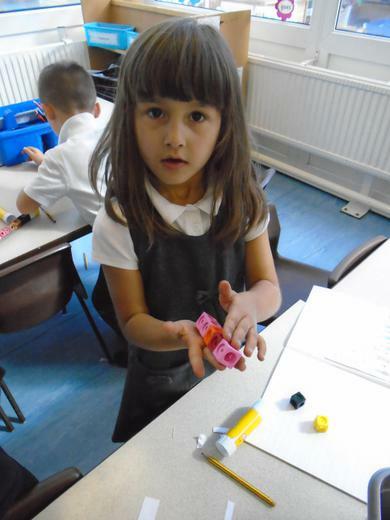 Year 3 have been learning all about magnets and forces. 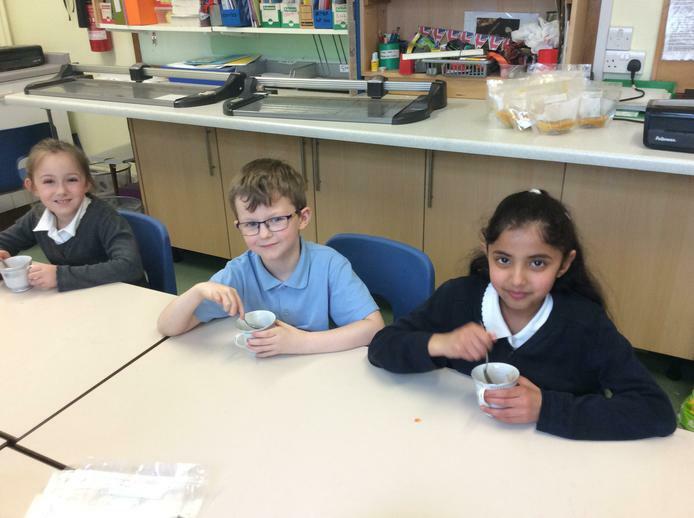 The children conducted an experiment and recorded their data in table. 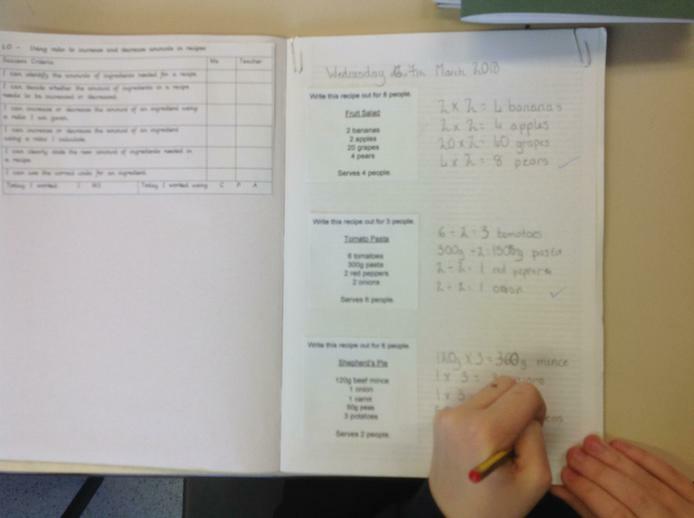 They then used their results to draw bar charts to help analyse their findings. 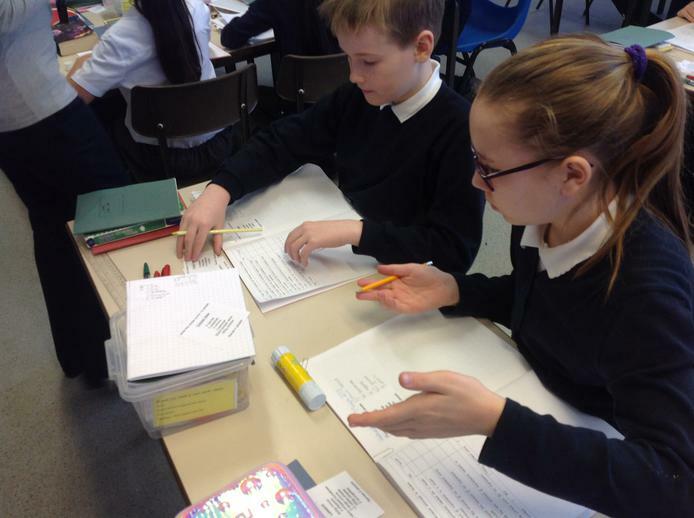 Class 7 looked at the patterns in Anglo Saxon jewellery. They noticed that there was lots of repetition and symmetry. First of all, they had to use their symmetry spotting skills to complete a pattern and then they designed their own. They were done in ink, watercolours and then collage. I think they're gorgeous...but are they perfectly symmetrical?! 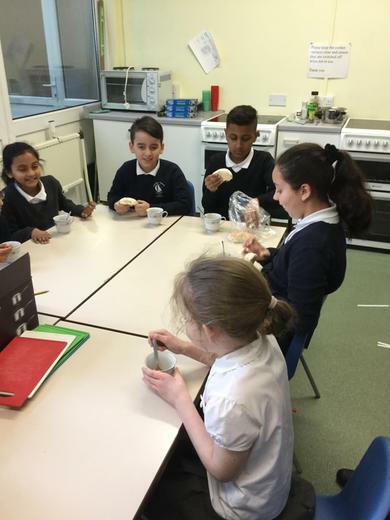 D&T / Life skills - Baking cakes! 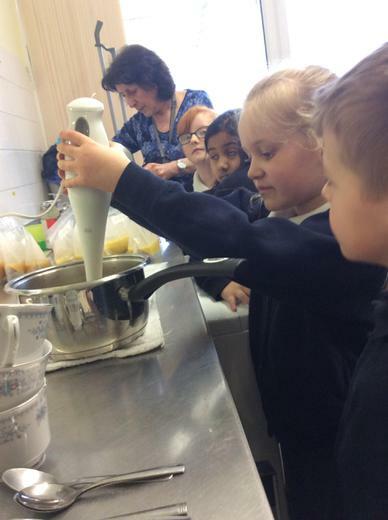 We measured our ingredients needed to make delicious cakes ! Looking for shapes!! 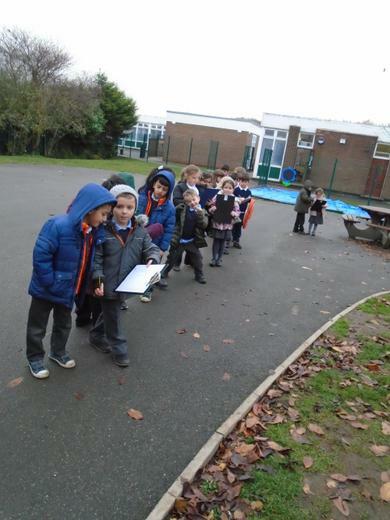 Year 1 have been outside in our school grounds looking for different 2D shapes! Can you name the shapes we found? 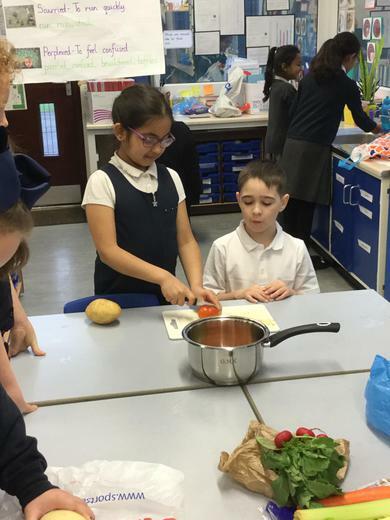 We had to scale up and weigh our ingredients. 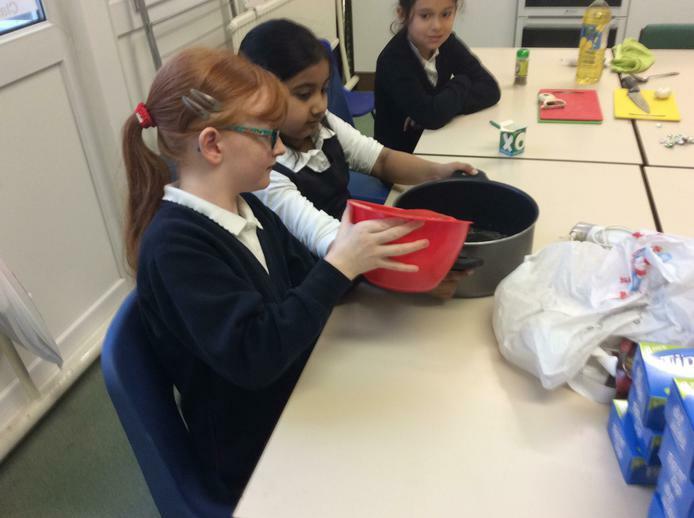 We had to time the baking time of our biscuits. We also had to time the cooling time. 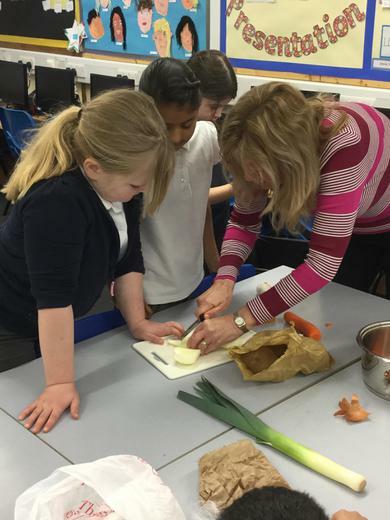 Mrs Witton chose a 1st, 2nd and 3rd place. Malaika was crowned our winner - well done! 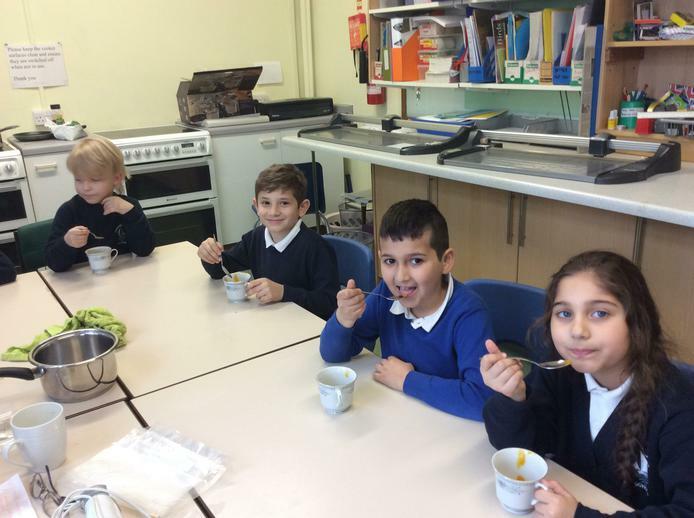 In the first half term, Class 11 were challenged to improve their behaviour. 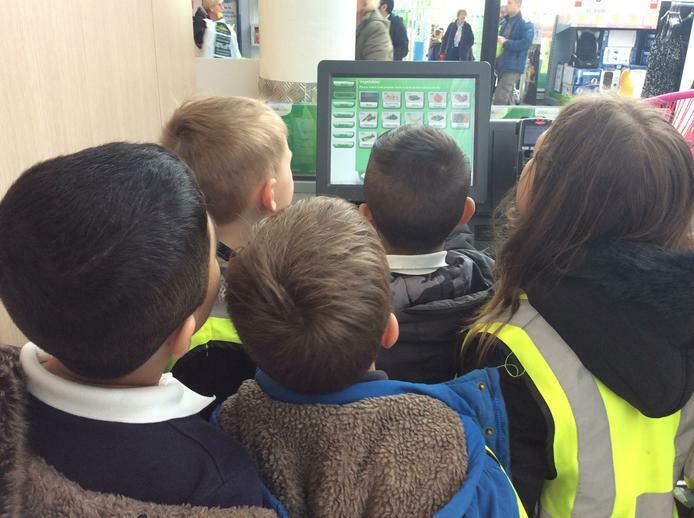 For each session they stayed in green for, they earned 5 House Points, meaning they could earn up to 25 House Points per day for good behaviour. Each member of the class was in charge of calculating their House Point total and adding them to our chart each day. 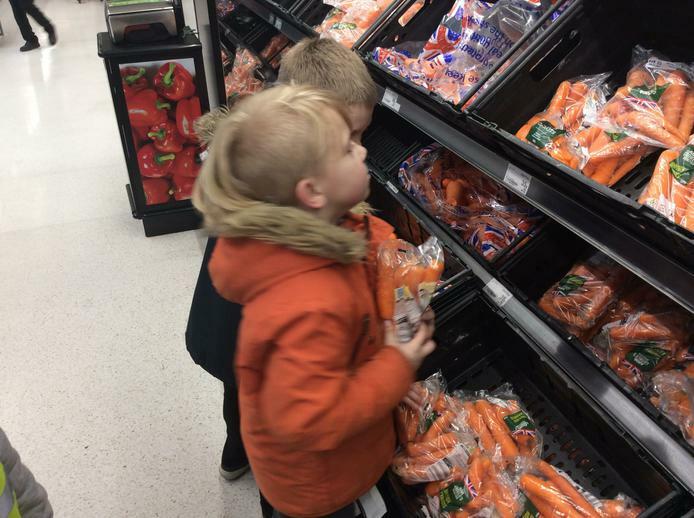 They had a target of 750 House Points out of a possible 825. I'm please to say that each and every member of the class met this target, earning them a reward of their choice. 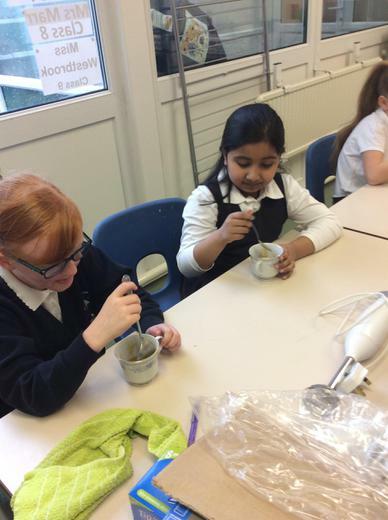 They chose to compete in their very own Junior Bake Off! As you can tell from the captions above, this was a great chance to use our maths skills. 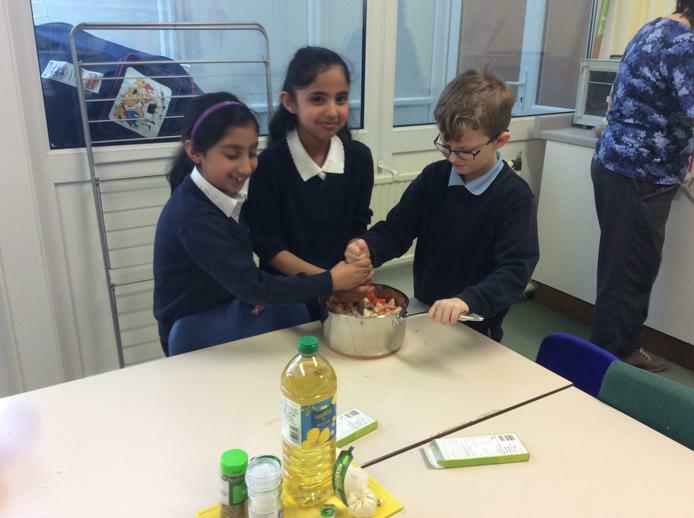 We all agreed that baking is the best way to practise maths! 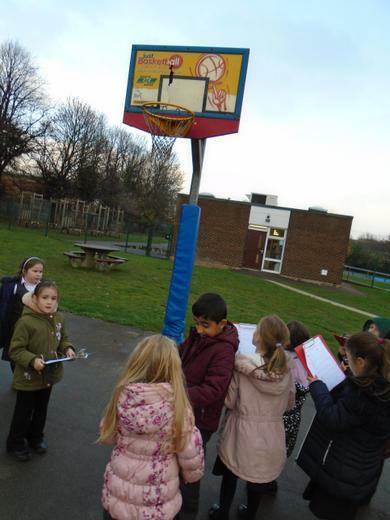 Year 3 and 4 went on a walk around the local area to measure and record sound levels in different places. They recorded the data in charts then, back in school, drew a bar graph and discussed their findings. 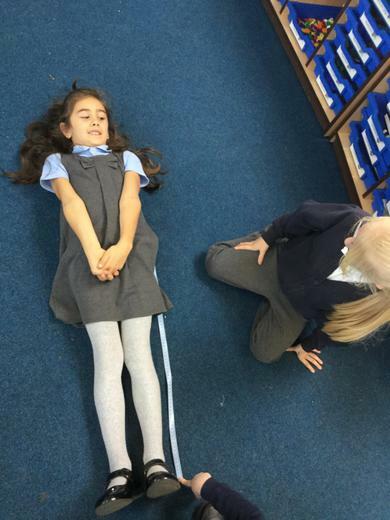 In Science, Year 4 were finding out about friction. 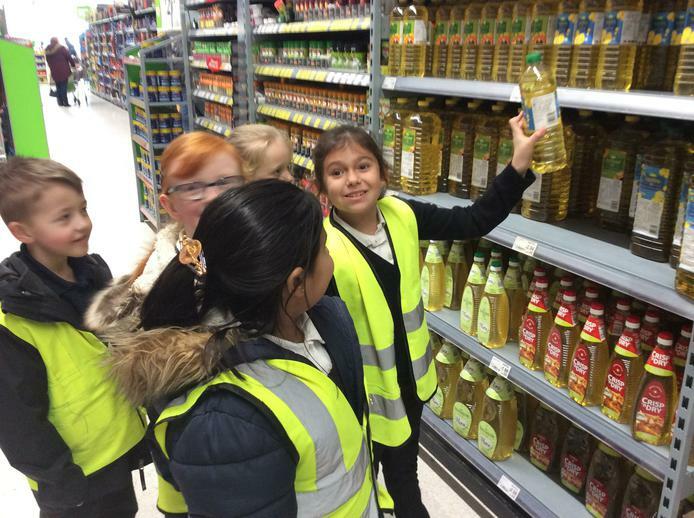 They conducted an experiment where they had to use their measuring skills and record the data in tables. 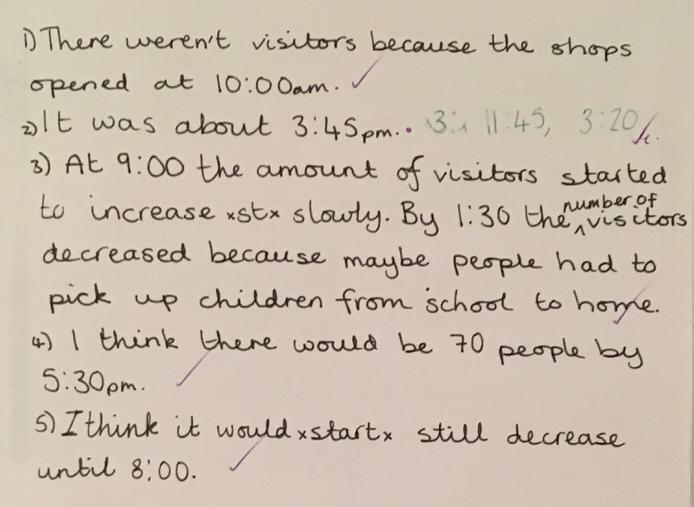 After this, they drew graphs and analysed what they had found.